UON has a newly created Makerspace situated in the Architecture precinct. 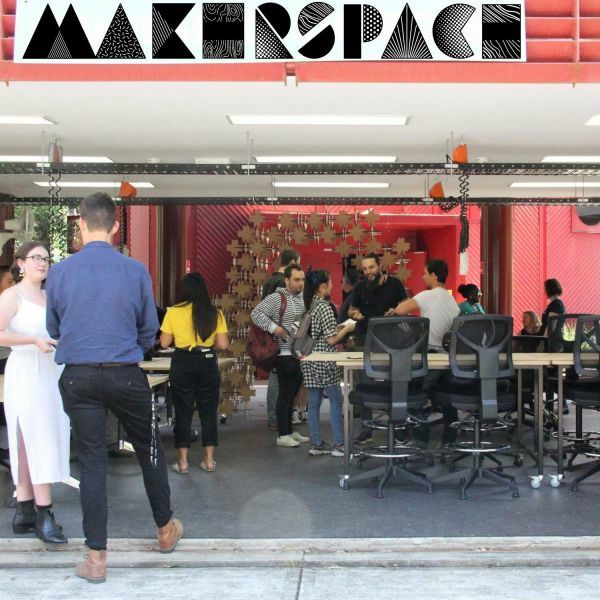 Launched late September, the new space is open to all current students and staff to give makers, designers, programmers and scientists the opportunity to collaborate on projects and design, problem-solve and share ideas. UON’s Makerspace Group is student led, representing the community of makers, which past and present, that have developed around the maker ethos at UON. “The UON Makerspace Club has been tinkering in the background since about 2011,” Mitchell Lew, President of the Makerspace Student Group said. “Towards the end of 2017, we really started to ramp up our efforts in advocating for a bigger, better space. “There was lots of support across the University, but we really needed the collaboration to make it happen. Thanks to the School of Electrical Engineering and the School of Architecture and Built Environment, we now have this fantastic big space, with capacity for anyone with an interest in making things to come along and have a go. Mitchell said having the larger capacity means more ideas can come together. “Behind everything we make is an idea. Being able to bring different people and disciplines together in a creative, well-equipped space means ideas can be explored. “We are really excited to see where this group can now go and hope to see lots of new faces from across UON,” Mitchell said. The current opening hours are 9am-5pm, with 24hours access coming soon. Completion of the online induction through Blackboard is required before access can be granted.